"The Cockshut Tractor found new life as the base of a new podracer design. But it would prove to be no less of a workhorse.."
Continuing the 'Tractor' muse for September, I drew this 2nd in the theme in what ended up becoming a StarWars-like Podracer. I immediately thought of the tractor designs modified to be race cars, space crafts etc. 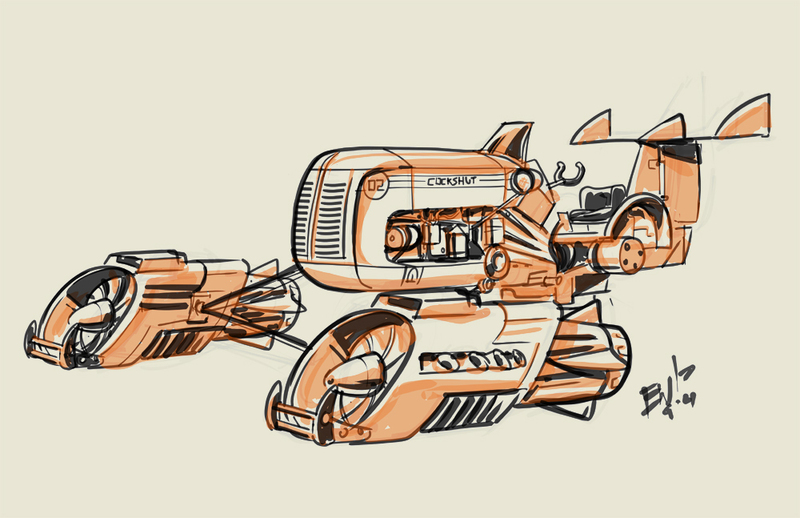 This one started out trying to be a hover vehicle of somesort and turned into a podracer of sorts. Fun stuff.